When musician John Legend visited Martha, he shared this recipe for his favorite Southern comfort food.. I've been making this mac & cheese for several years now and the only complaint I've heard is "Why didn't you make more?" It is definitely a favorite with my family and friends! 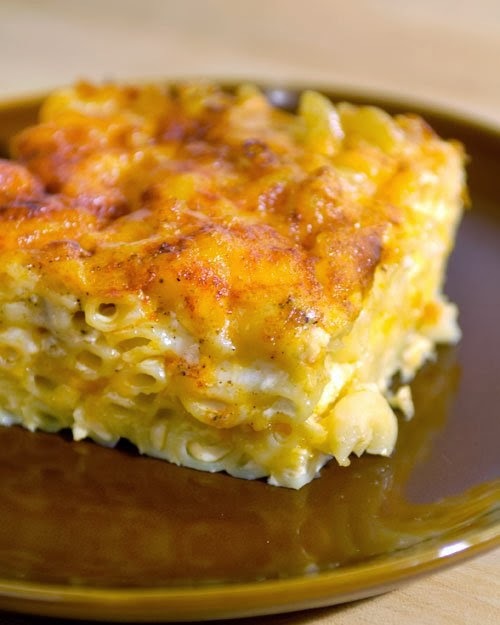 lace 1/3 macaroni in an even layer in the bottom of prepared baking dish; cover evenly with 1/3 cheese. Repeat with remaining macaroni and cheese mixture. Pour milk mixture evenly over contents of baking dish. Sprinkle with paprika. Bake until top layer is lightly browned, 35 to 45 minutes. Let stand 10 to 15 minutes before serving.